I stayed in the women’s doorm (Room S) for two nights and had a great experience at the Dictionary. The Shoreditch area is super hip with loads of cool places to go to and things to do. The staff was friendly and helpful and the room nice an spacious with shower and toilet. Bathroom was not super clean but acceptable. 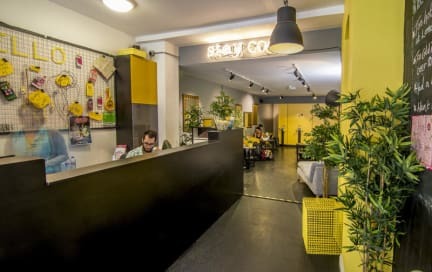 Note that this hostel is situated on a big road with bars around so if noise bothers you at night you might want to look for a different place. Was not a problem for me personally. Our room was really really dusty everywhere and also the showers weren’t clean. There are only sockets at the floor so that was complicated. There are no night lights... but the staff was really nice and the location couldn’t be better! Rooms are super humid because there are no windows. My clothes smelled really moldy after my stay. Bathroom was dirty. Staff is really nice and the roof terrace is cool! Sehr dreckig im Zimmer, in der Küche und auf den Toiletten. Sehr laut in der Nacht. Waren coole leute aber sauber ist was anderes. 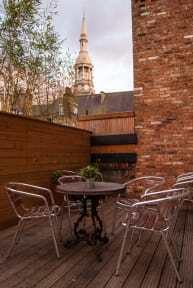 The Hostel is situated centrally in shoreditch, thats the only positove point. The shower has only cold water, the groundlevel club is very noisy, the rooms are very dirty and basic. Cleaning stuff walks in the room without knocking the door. Das Hostel ist dreckig und die Zimmer haben keine Fenster. Auch die Bäder sind in einem schlimmen Zustand (Schimmel in der Dusche!!). Die Lage ist super, doch Zeit will man in dieselbe Hostel nicht verbringen!